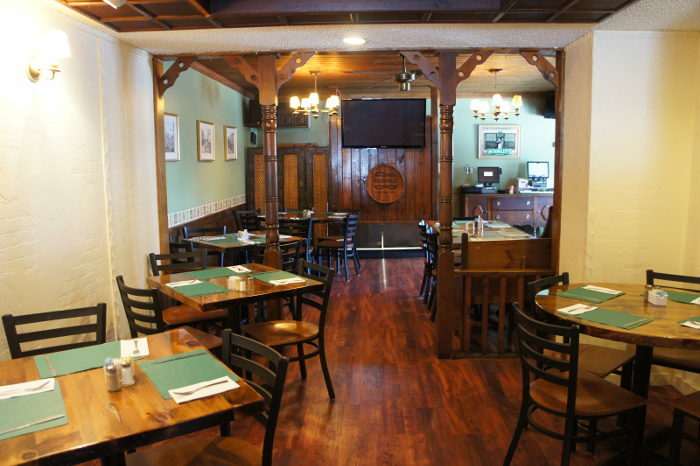 The Blackthorn Restaurant & Pub is the quintessential South Buffalo pub – quaint, charming, warm and welcoming. 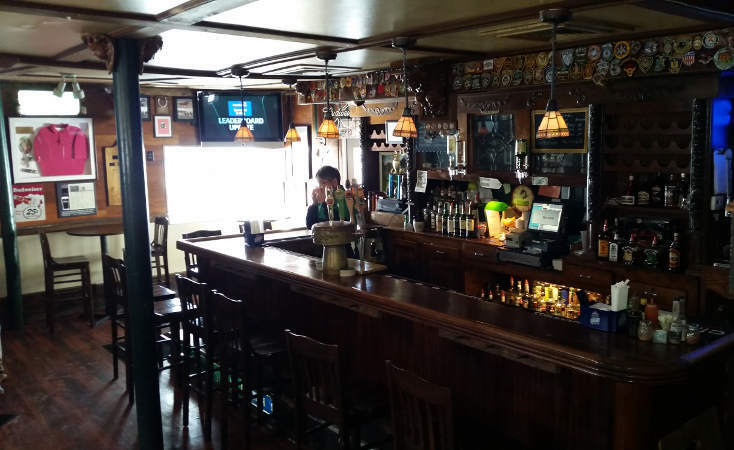 Dark wood floors, faux white brick walls, Irish country paintings adorn the walls with the occasional tribute to beer, the local team and McSorley’s Old Ale House. 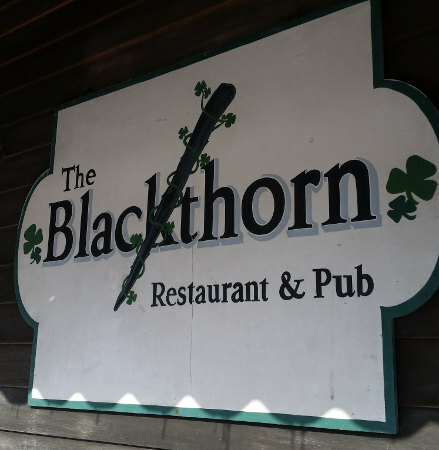 The Blackthorn hit the spotlight with an appearance on Diners, Drive-ins and Dives a few years back. Having been around since 1977 it was already popular in the “Caz” neighborhood. On a recent stop the Blackthorn was brightly light and active on a Friday night with just enough chatter from the bar to give the place an aura of happy. This place is more a restaurant with a bar than vice versa. The beer menu is complete with 17 varieties on tap and plenty by the bottle. 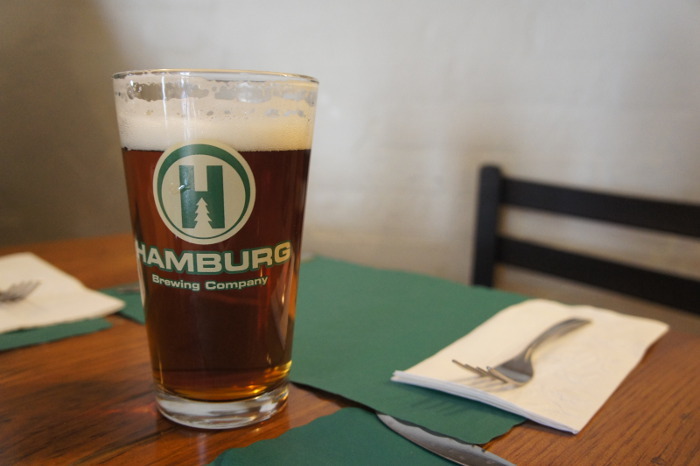 I went with the Hamburg Irish Red. They have wine but it’s not one of their strong suites. I love this place. 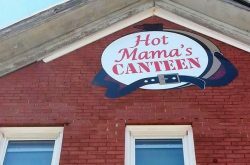 Not because it has the best food in town, although the food is good and comforting. To me it represents much of what is great about Buffalo and our quality of life. This place is about people, about neighborhood, about family and friends. It’s about people working hard to earn your respect, people who meet their responsibility as your host. Case in point, the place is open seven days a week 11:30am – 4am. If you’ve come for the gourmet meal you missed a turn someplace around Franklin, and you’ve missed the point completely. This is good quality, stick to your bones comfort/Buffalo food. A great old time neighborhood joint with a fine beer list and a few flat screens to catch a game. What more could you want? 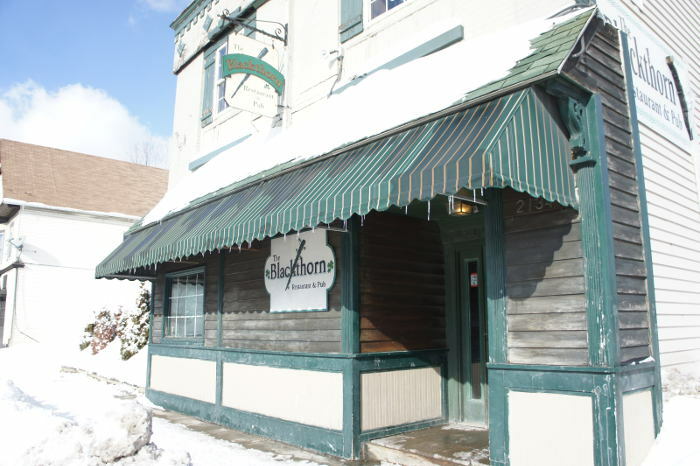 The menu at Blackthorn is an extensive one that includes a combination of American/Irish/Buffalo food. 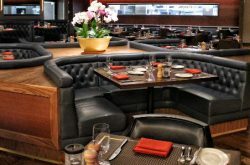 Broken into five segments you’ll find roughly 8 appetizers; 8-9 bar snacks; 2 standard soups, 8 salads of various sizes; 9 different sandwiches; 14 entrees (dinners) that include a combination of chicken, pork, beef and seafood dishes; another 10 “House Favorites” that might be classified as more casual dinners. 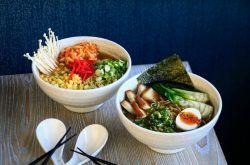 Plus they have daily specials and desserts. As mentioned above our most recent trip was a busy Friday night, but not so busy that we didn’t get a table within a few minutes. The dining area is a few steps up from the bar and was filled with the buzz of hard working people excited to kick off the weekend. 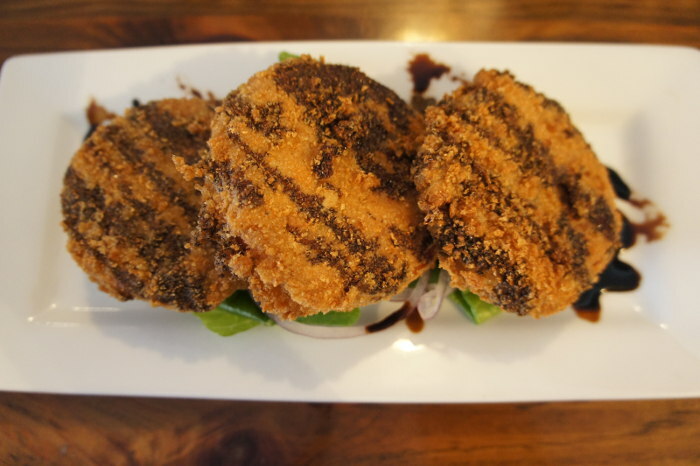 Fried Bleu Cheese Stuffed Tomatoes– served over mixed greens and topped with balsamic syrup ($8.50). I can honestly say I’d never even heard of fried bleu cheese stuffed tomatoes. These are not unlike the fried green tomatoes of the south, but an improvement in my mind. Warm red tomatoes with bits of bleu cheese inside, a crispy fried batter and a drizzle of balsamic. The cheese is in moderation and adds just the right amount of significance. In the interest of full disclosure I’m a big bleu cheese fan. My companion liked these, but would not concede they are an improvement on the southern tradition. The Irish Beer Soup ($3.25) is robust and filling with creamy cheesiness, a nice beer kick at the finish and plenty of potatoes in our bowl. 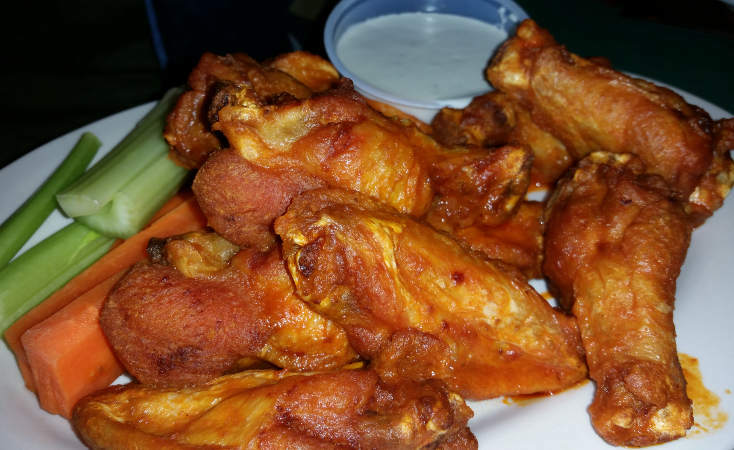 Single Medium Wings ($9.50) were perfectly cooked and just the right size (a minor detail until you leave town). Perfectly cooked meaning a hint of crispy on the outside, cooked through but not over done right down to the bone, saucy but not sloppy. These were as good as any I’ve had in a long time. New England Chowder (bowl $4.25) had a nice creamy mix with plenty of clams, but was a little salty for my palate. The Fish Fry ($13) which is enough food for a college freshmen with a lineman size appetite. 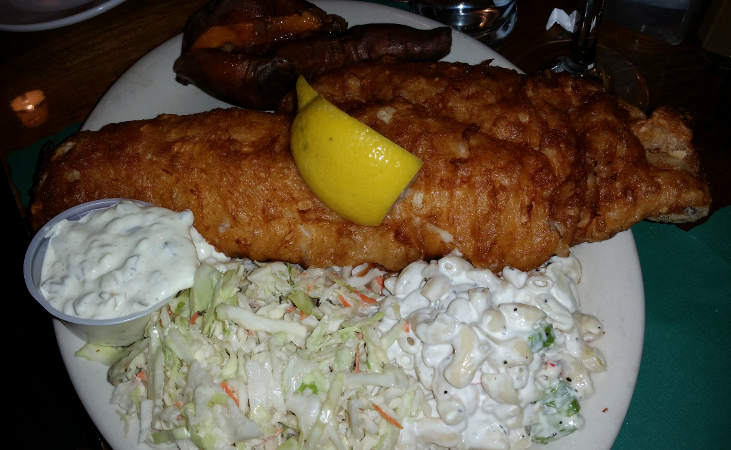 A massive piece of beer battered haddock with rich beer flavor (you can get it breaded or broiled), a large mound of coleslaw, pasta salad and your choice of starch… woo. Starch options are rice, fries, baked, or sweet potato baked with a walnut butter. We went with sweet potato, the walnut butter is rich and indulgent. 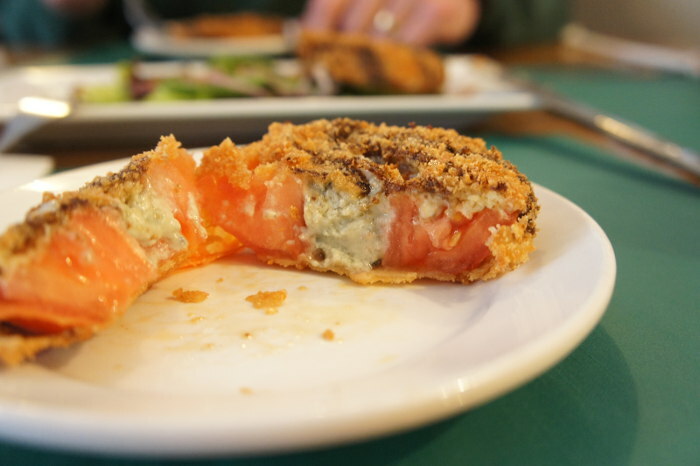 The fish was excellent as any top WNY fish fry should be, the tartar appeared to be house-made. All sides were good and plentiful, the slaw had a particularly nice creaminess to it. 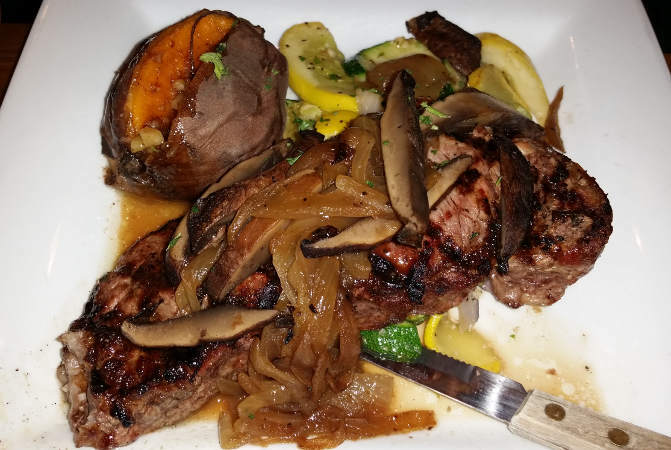 The New York Strip Steak is a 12 oz center cut certified Angus strip with portabella mushrooms and onions piled high ($23). This was a quality piece of meat cooked as ordered. The onions and mushrooms a nice touch. Comes with choice of starch. Firehouse Burger – a ½ pound certified Angus burger with special seasonings with lettuce, tomato, cheddar ($9.50). A good size burger, juicy but not too much, with just a hint of pink on a quality bun. The sandwiches come with a side of tater tots – homemade Jalapeño cheddar tater tots. These are big potatoey plugs deep fired to a crisp brown with the cheese intact on the inside. I’m a firm believer that a well crafted tater doesn’t need much of anything added to achieve greatness, and in this case I’m sure I’m right. But the jalapeno cheddar with the potato is a pretty cool combo. I’d put them in the same category as a bacon cheese burger – a bit over the top, but you only live once. I ‘ll come back just for these. The Rueben – corned beef sandwich with warm sauerkraut and melted swiss on grilled Costanzo rye with Thousand Island dressing ($9). 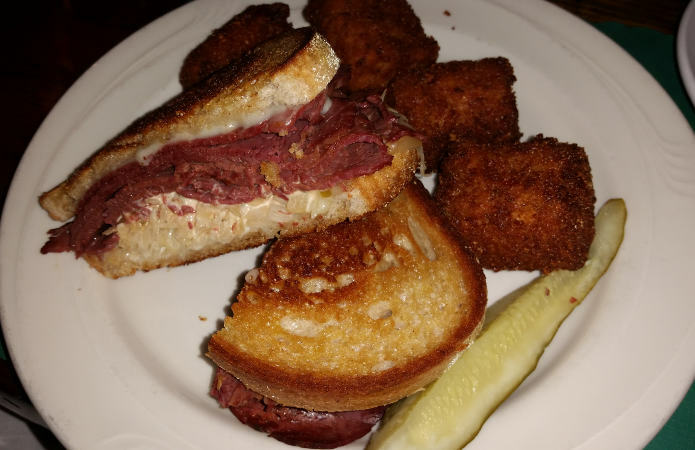 The thing I noticed first off about this Rueben is it was uncharacteristically neat. No dressing oozing out, no greasy mess on the bread, no Ruben left on the front of my shirt. Thankfully, this was not an indication of a lack of taste. The sandwich was properly plated, grilled in an appropriately modest amount of shortening, and nicely proportioned. 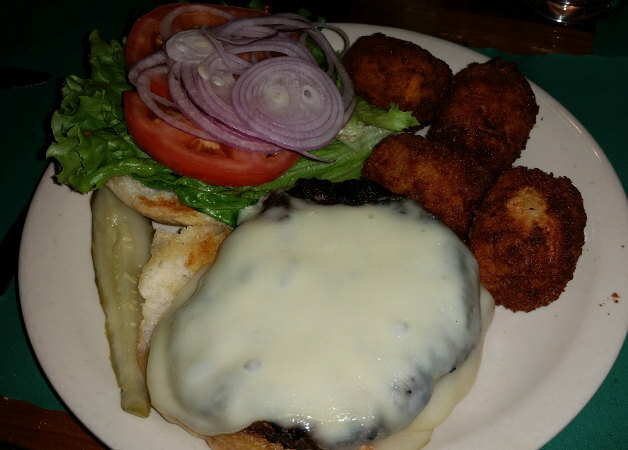 Tots on the side – yea.